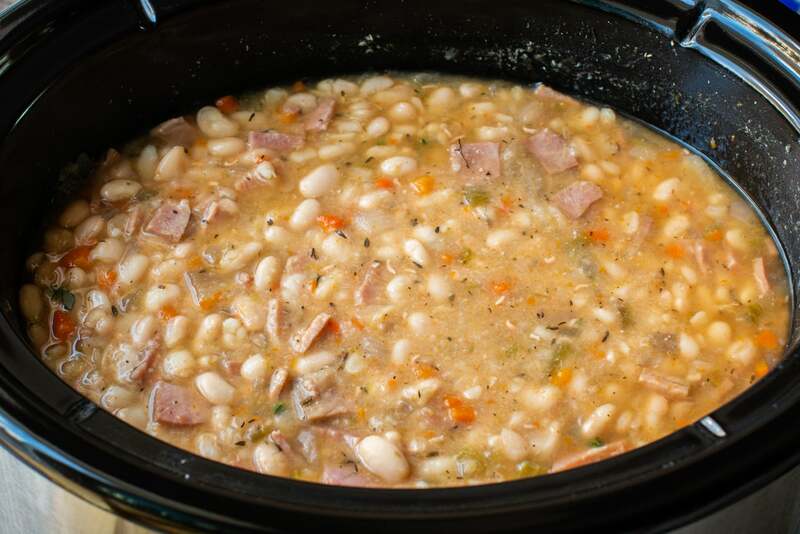 Slow Cooker Ham and Beans is a classic recipe that always turns out great! Wonderful for leftover ham. 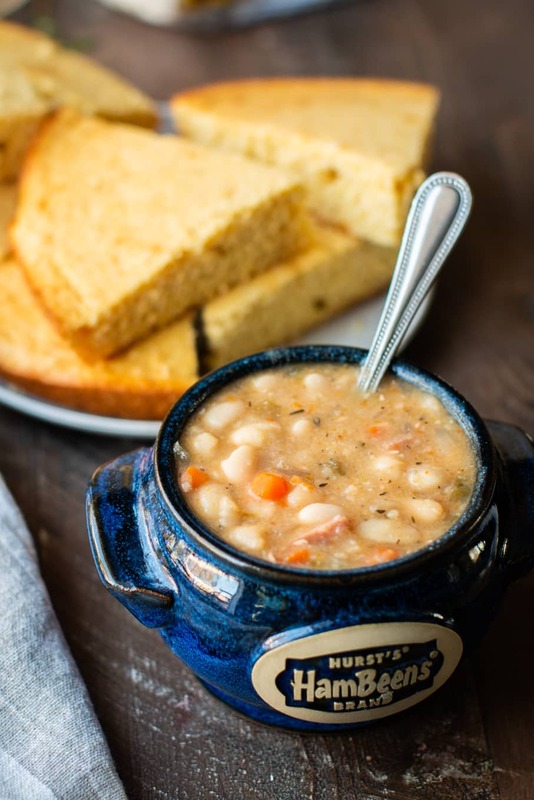 This recipe is sponsored by Hurst’sⓇ HamBeensⓇ though all opinions are mine alone. 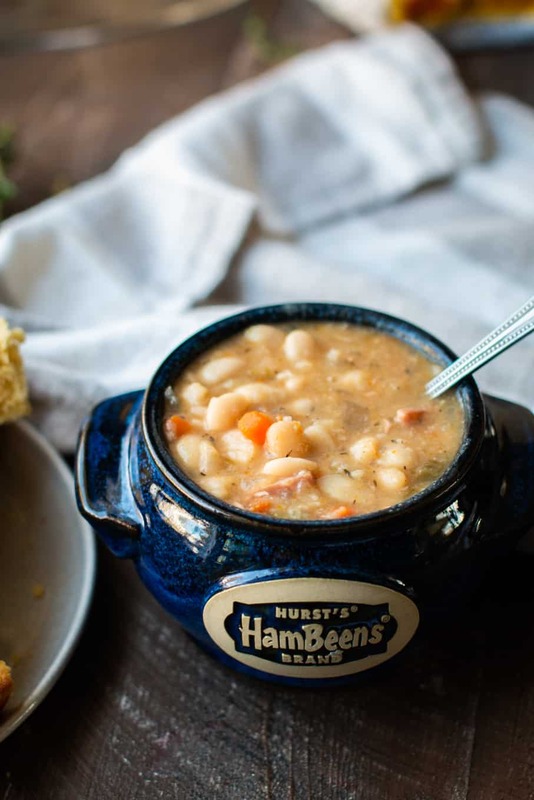 Are you a Ham and Beans fan? My family sure is. There is a little diner we go to that has Ham and Beans on the menu daily and I have to get it every time we go. 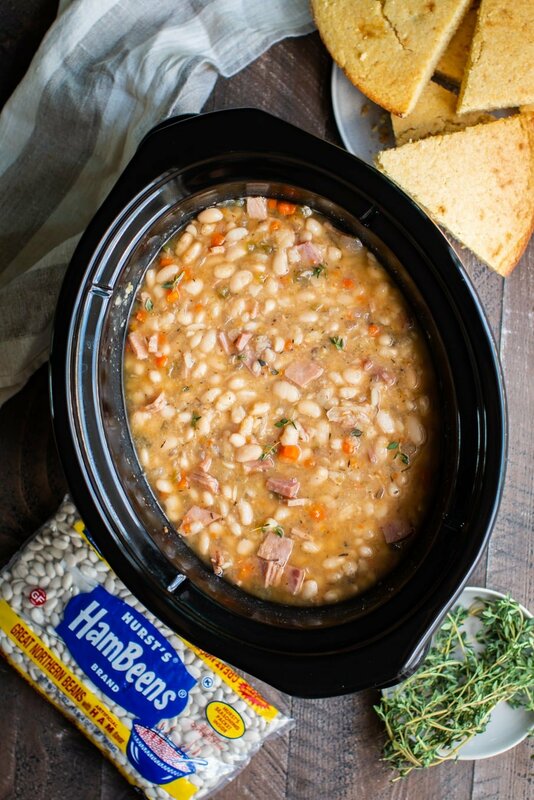 You won’t believe how easy it is to make restaurant quality ham and beans at home easily by throwing everything in your slow cooker. 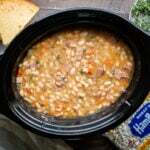 I use Hurst’s HamBeens Great Northern Beans with Ham Flavor. These beans are great quality, you can see that in my video below. The beans cook up big and tender. 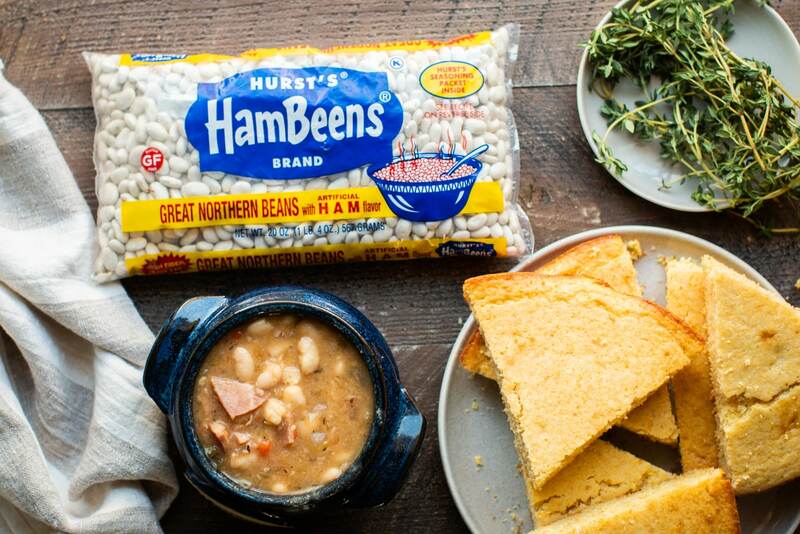 This package of Great Northern Beans and many other bean mixes from Hurst’s Hambeens come with a ham flavor packet. It’s a little powdery mix that tastes like smokey ham. One thing I have not mentioned yet on the blog about this little flavor packet is that it is vegetarian, so if you are not wanting real ham in your soups but want the flavor, you can get it! You can find where to buy these bean mixes here. I have found the most variety at Walmart in my area. Easter is just around the corner and I know a lot of us will have leftover ham and this recipe is perfect for that. 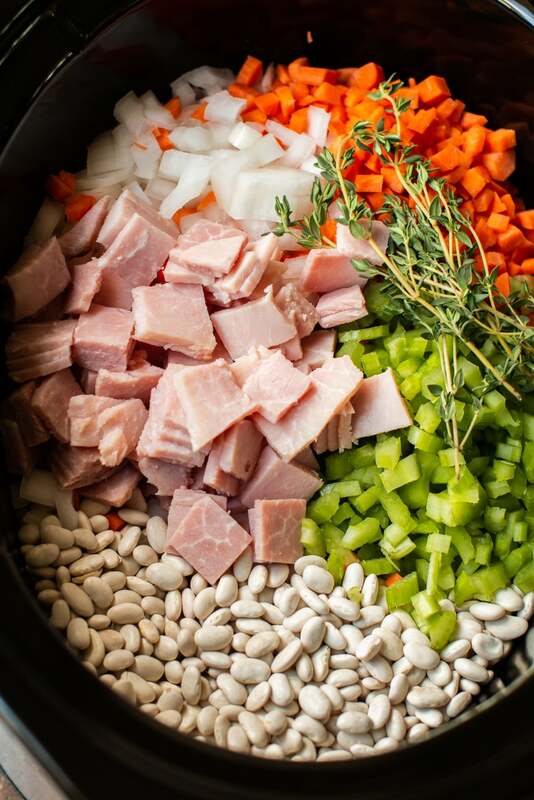 Be sure to save this recipe for later and enjoy a big pot of Ham and Beans with your family. If you love this recipe you can find more like it over at Hurt’s HamBeens. Have a great week! Place the beans in a colander and sort out any debris, rinse beans and add to the slow cooker. Add the ham, onion, carrots, celery, thyme, pepper and chicken broth, stir. Wait to add the ham flavor packet. Cover and cook on HIGH for 6-7 hours without opening the lid during the cooking time. When the cooking time is done, add the ham flavor packet and stir. Add salt to taste. Serve and enjoy! 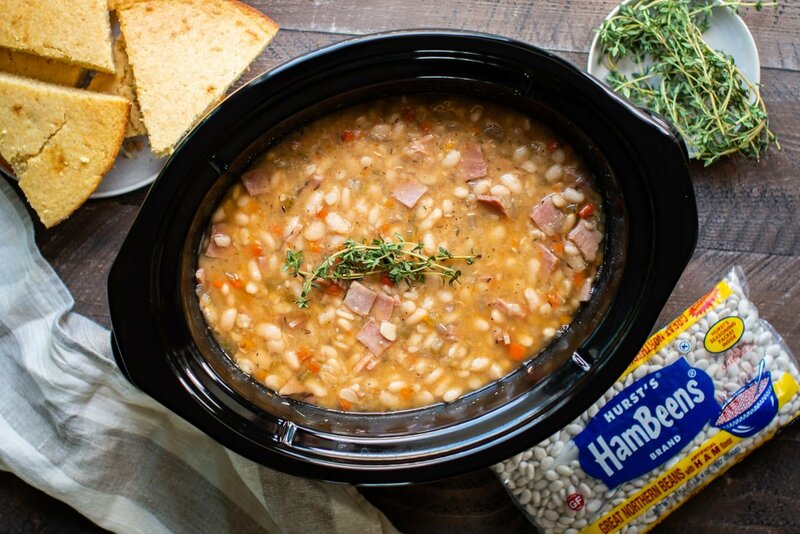 on the bean and ham recipe i have a 4qt crock pot how would I cut this down maybe 1/2 bag of beans and cut back on other items? where did the little blue pots shown in some pictures come from – cute! My name is Linda and I live in Shawnee, Oklahoma, USA. I read your comment and wanted to tell you that you can use any kind of dried beans no matter the brand. I have made this recipe several times with just regular brand pintos and it came out great even without the seasoning packet. The hardest part about cooking this recipe is not peeking at it for the 7 hours it cooks. Smells fantastic and tastes just as good! Pinto beans and ham are great. I add my own pinto bean seasoning. About 1 tbl. It comes pre-packaged or you can make your own. Where can I find the Ham Flavor packet? It’s included in the mix. If you can’t find this brand of beans you could add the Goya ham seasoning packet to a pack of plain dried beans. The Goya products are located around the Mexican and Asian food in my local grocery store. To me, the Goya ham packets are far superior to what comes in any brand of dried beans you purchase. I always try to buy the Hurst beans when I can find them. Usually at Publix. You can use Goya ham flavoring packet for the ham seasoning without the meat. In our grocery store it is aroind the Mexican and Asian foods. I live in a small town. Jope this helps. One place says to cook 4 hours and another place says 6-7 hours – which one is correct? 6-7. I will fix that. 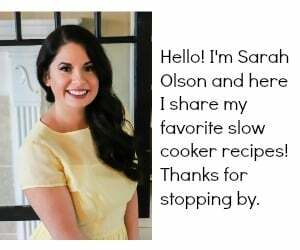 Can most slow cooked recipes be pressure cooked on soup or stew settings and add more favor as well as cutting the cooking time to about an hour? I use smoked ham shanks. Great taste. Yes, most of the newer ones do. This one does not since the system I use does not have the info for this bean mix. Cant get hambeans here in Spain what can i use instead ? I make this but use dried lima beans. I also add about 2 tablespoons of brown sugar with everything else. The sugar cuts any bitterness the beans may have. It doesn’t make the soup taste sweet. 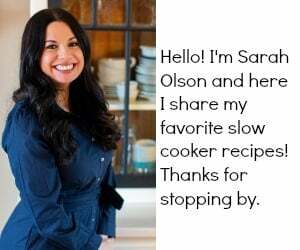 I saw this hint on the internet a long time ago and have been adding it to the slow cooker ever since. For a widower you save my day. 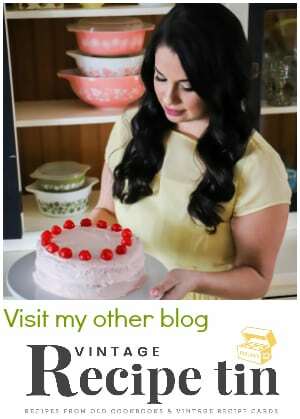 your recipes are so good and easy for me to make. 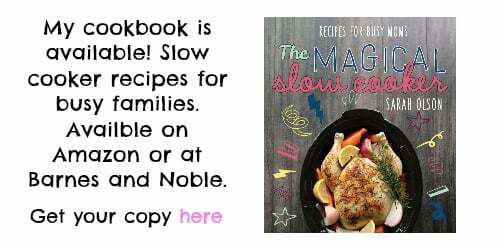 I been writing all your recipes down cause I don’t have a printer but I am getting your book.